Whether you’re feeling charitable this holiday season, or just want a bunch of Sonic games for super cheap, Humble Bundle has an offer for Sonic fans: the Humble Sonic Bundle. The money given to this bundle will go to Extra Life, Save the Children, the Willow Foundation, and Access Sport. Alternatively, your money can also be given to any charity in Humble Bundle’s database. The bundle will be available from now until the end of the year. You can check it out here. 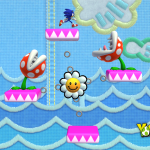 Sonic set aside his hydrophobia when countless Wisps were in danger as he ventured through Aquarium Park in Sonic Colours, with Eggman’s Interstellar Amusement Park laying claim to this planet for its feudal era-inspired architecture and expansive ocean. 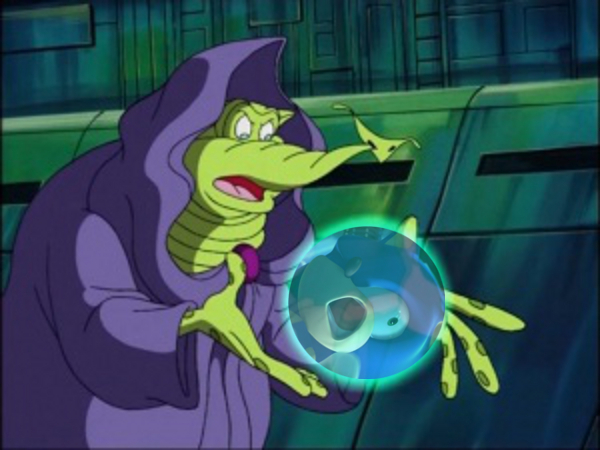 The evil Doctor’s lust for conquest later drove him to the Lost Hex, and became master of the Deadly Six, only for the Zeti to usurp him at the first opportunity; Sonic’s travels across the planetoid in Sonic Lost World soon led him to Sky Road where he confronted Zavok alone. Select themes from both Zones, all composed by Tomoya Ohtani, have proven to be similar enough to be mashed up for this week’s Mash-Up Monday, as DarkHyperSonic7 has demonstrated with Aquarium Park Act 1 and “Dragon Dance.” Give it a listen below! 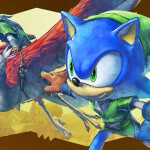 Music mashups of Sonic the Hedgehog and Michael Jackson songs are nothing particularly new, but that doesn’t stop them from sounding incredibly amazing – and with Michael Jackson’s involvement with Sonic the Hedgehog 3 confirmed at last (and later confirmed again), the fact that several of these exist across the web isn’t surprising given how well they mix, like thinly sliced fresh cucumbers, a tablespoon of mayonnaise, a pinch of black pepper, and bread no less than 3/4 of an inch thick. That’s the case once again with today’s Mash-Up Monday, as we take a look at DarkHyperSonic7’s mashup of the King of Pop’s hit “Man in the Mirror” with Tomoya Ohtani’s “Sea Bottom Segue” from Sonic Lost World. Maybe it’s just my personal bias with any song that includes a piano given how gorgeous Michael’s vocals are when in contrast with Ohtani’s beautiful melody on the keyboard, but listen to it for yourself after the jump and let us know what you think of it in the comments! This information came from Nintendo’s PR from last Thursday’s eShop PR for North America, but there was no mention of prices so I held back from reporting until we knew all the details which we do now. Sonic the Hedgehog: Triple Trouble and Sonic Lost World from SEGA are on sale starting 9 a.m. PT on Feb. 22 until 8:59 a.m. PT on March 7. You can click on a game’s title to look at the game’s page on Nintendo’s site. Does either game catch your eye at that price or perhaps you already own one or both? Let us know in the comments! Yesterday, Sonic Lost World was released on PC, breakng that exclusive deal which Sega made with Nintendo a few years ago. The game is more or less the exact same game which came out on the console, however there are one or two major changes. First of all there is no multiplayer mode, there are no circus tent mini games and the NiGHTS DLC is included in the download and unlocks after you beat the first stage. Currently priced at £19.99, however if you look around odds are you can find it for slightly cheaper. So far the response to the game has been very positive. But we’ll probably be doing a review on this version at some point in the near future. It’s been almost one year Since the Sonic Boom franchise officially launched with both the games and T.V. series and we celebrate by looking back on the first season. Join Jason, GX and guest Evil Dr. Reef as we discuss not only Sonic Boom, but the latest Sonic news and make Stick puns. Mostly by accident. After that, Jason gets a one hour, one-on-one interview with the man who made Sonic the coolest thing on Twitter, Sega’s own Aaron Webber! He talks about Sonic Boom, the upcoming Sonic Lost World and much more including some exclusive Sonic Boom info This one’s a must-listen! 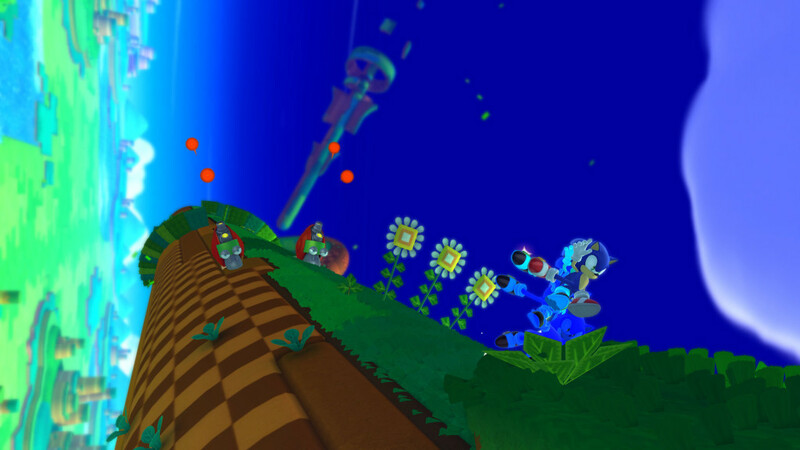 Sonic Lost World, a once exclusive Nintendo Wii U title, is set to arrive on PC via Steam on November 2nd, SEGA have announced. 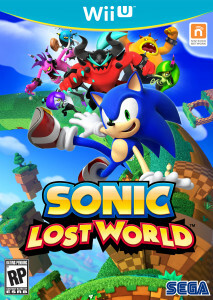 Initially released as the first of a three game Nintendo exclusivity deal back in 2013, Sonic Lost World introduced a plethora of new gameplay mechanics including a run button, parkour abilities, new colour powers and more. The title was released to mixed reviews from critics, and sold around 710,000 copies as of March 2014. The game also launched alongside a 3DS version which sees no sign of being reintroduced, and some exclusive NiGHTS DLC which may be included with the PC version. 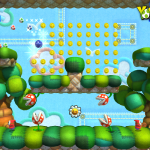 Other post content for the game included two free levels based off various Nintendo IPs which will almost certainly remain Wii U exclusives. The title will launch for a discounted price of £19.99, and users who pre-purchase the title before release will also get the PC version of Sonic & SEGA All Stars Transformed included for free. Not a bad price at all for these two games – you can purchase the game at the official Steam page right here. 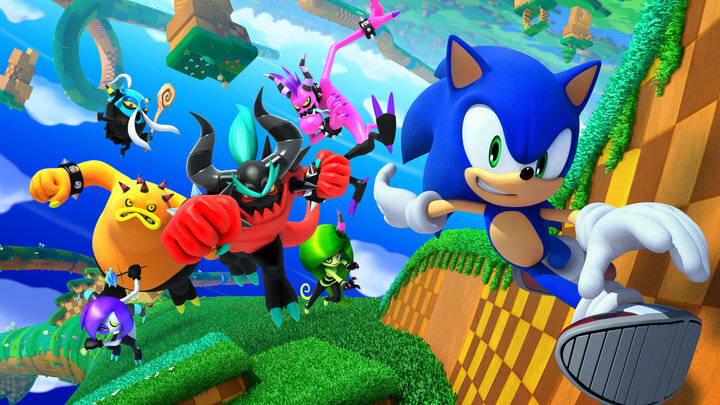 You can catch our review for the original release of Sonic Lost World here. Are you excited this once exclusive title get a second lease on life on PC? Let us know below. Long title is long. Anyway, during the big unload of Mario Kart 8 information via the surprise Mario Kart 8 Direct and outside of it, Nintendo unveiled a promotion where if you purchase Mario Kart 8, either by buying it at retail, buying it digitally on the eShop, or buying the copy that comes with the special Wii U Mario Kart 8 Bundle (aka, you buy it new, you get this), and register the code that comes in the box on Club Nintendo (buying digitally does this automatically), you get to choose from one of 10 Wii U games to download from the eShop for FREE, among of which being the Wii U version of Sonic Lost World and Mario & Sonic at the Sochi 2014 Olympic Winter Games. This however is only for our European fans, because for North America, folks there instead get to choose from four games instead (all four are choices in Europe), they also say for people in Australia to check the Nintendo of Australia website in the coming days for more info. Mario Kart 8 hits Wii U on May 30th, bringing the series into a new dimension with antigravity racing, exhilarating online play, and the ability to share your race highlights with the world. 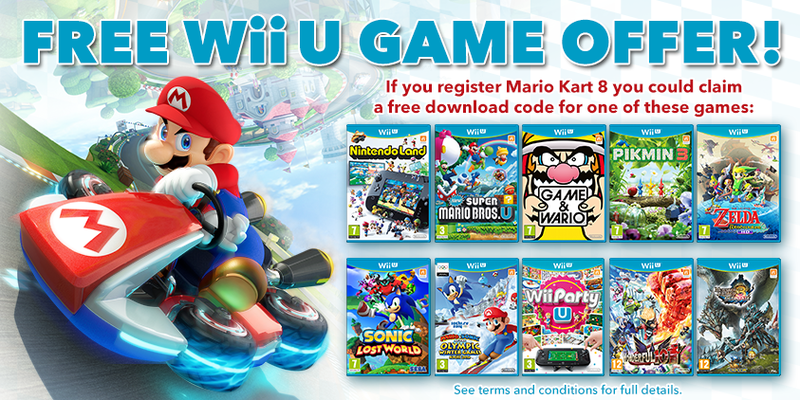 Thanks to our special Mario Kart 8 Bonus Game Promotion, if you register the PIN code for Mario Kart 8 in Club Nintendo between 10am (UK time) on May 30th and 11:59pm (UK time) on July 31st, you could claim a free download code for one of a selection of great Wii U games! Please read the Terms & Conditions for more information. Users in Australia, please check the Nintendo Australia website in the coming days for more information. Which game are you choosing? Let us know in the comments! If you thought Sonic Boom was going to be the only redesign of the speedy blue hedgehog this year… think again! 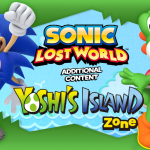 Following on from the Yoshi’s Island Zone DLC last year, the much anticipated DLC for Sonic Lost World based on Nintendo’s The Legend of Zelda series is finally making its way to the Wii U eShop tomorrow (for free!) – and Sonic’s been taking a few fashion tips from Link himself, it seems! IGN have posted a video preview of the new zone, which plays very differently to most other stages in Sonic Lost World – it borrows very heavily from its source material, in fact, seeing you exploring Hyrule Field before traversing an eerie and fiery dungeon. 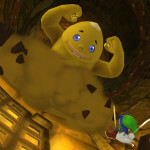 Along the way you’ll collect rupees – which are converted into rescued animals upon completion – and face off against iconic enemies including Stalfos, Gorons… and even Cuccos! 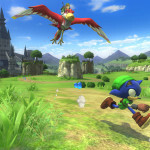 With tons of nods to the Zelda series all the way through (including an appearance or two from Link on his trusty Loftwing), this is looking like a very extensive piece of DLC that should give you more than enough reason to dust off your Wii U and boot up Sonic’s most recent outing at least one more time. 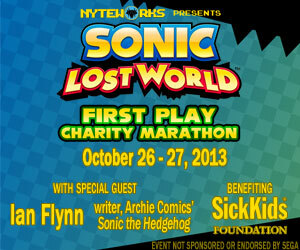 It’s got to be worth it just to see Sonic running around in that classic green tunic, surely! 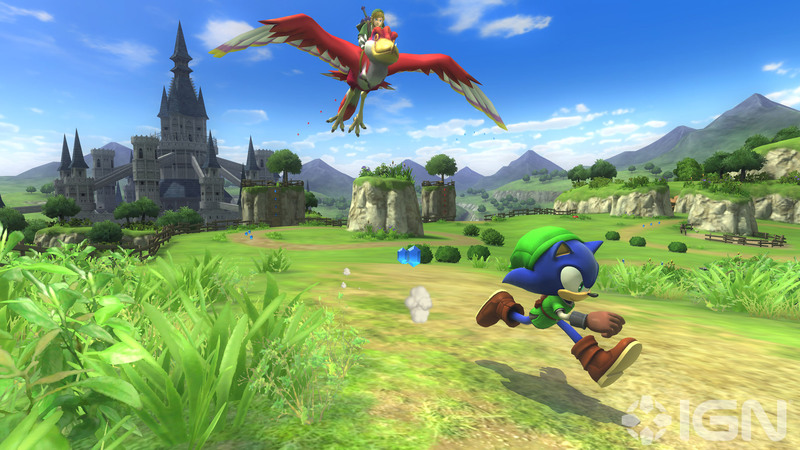 Sonic Lost World: The Legend of Zelda Zone will be available to download from the Wii U eShop tomorrow (27th March) absolutely free. Be sure to give it a whirl! It’s seemingly not often that the vocal talents behind the Sonic the Hedgehog franchise receive any real recognition for their work on the series (and disappointingly so) – but rejoice, there is good news on this front at last! Two of the series’ principal cast members have been nominated for accolades in the latest Behind The Voice Actor Awards, and they’ll no doubt be looking for your votes and support to help them take home the gold. 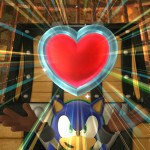 Roger Craig Smith, known of course amongst the fanbase as the voice of the titular blue blur, has been nominated in the Best Male Vocal Performance in a Video Game in a Supporting Role category for portraying the wise-cracking Wonder Blue in the recent Wii U title from Platinum Games, The Wonderful 101. 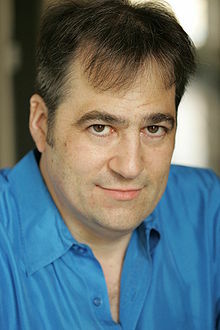 However, it’s Mike Pollock that should be getting special attention from the Sonic fandom, as he has been nominated in the Best Male Vocal Performance in a Video Game category for his role as none other than Dr. Eggman, specifically in last year’s Sonic Lost World. The two vocal stars are in esteemed company in their respective categories, nominated alongside the likes of Troy Baker (the voice of Espio), Nolan North, and Alan Young (Scrooge McDuck himself!). We here at The Sonic Stadium wish to congratulate both Mike and Roger on their nominations, and if you wish to cast your votes for them you can do so at the awards page (you’ll need to register for an account first though). The winners are scheduled to be announced next Wednesday (19th March), so you don’t have long to get your votes in! 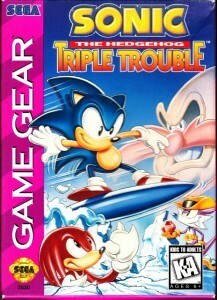 In the consumer business, although the Group launched multiple titles including “Football Manager 2014” and “Sonic Lost World” in the packaged game software field, sales were low due to the harsh market environment. 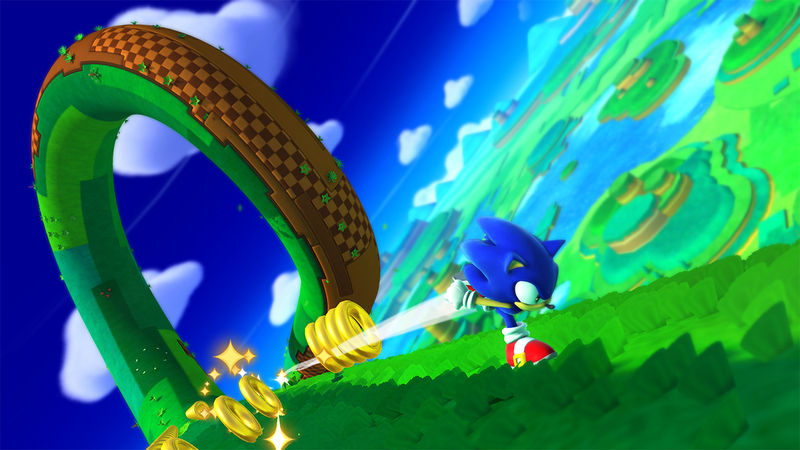 Sega have confirmed in their newly published Financial Earnings report that the Wii U and 3DS exclusive title Sonic Lost World has shipped 640,000 copies worldwide as of December 31st. Sega also shipped 680,000 copies of Football Manager 2014 on PC in Europe and NA, while the Japan-only Soccer Tsuku: Let’s Make a Pro Soccer Club managed to ship 200,000 copies on PS3 and Vita. You can find a full write-up over at Joystiq. 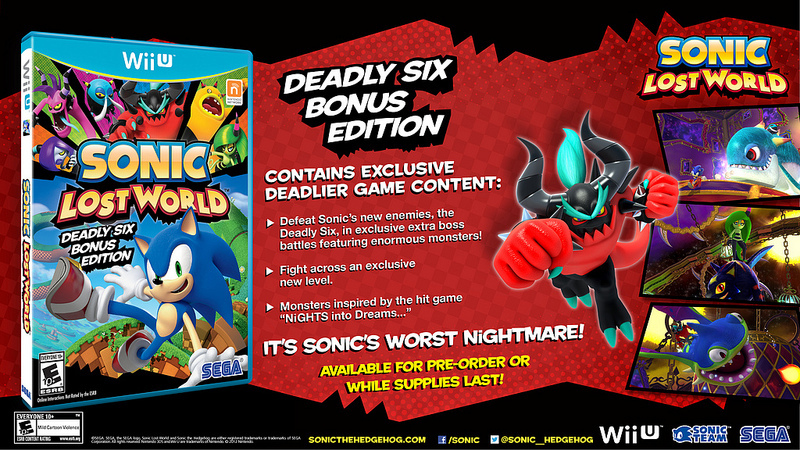 It appears the Deadly Six Edition of Sonic Lost World for Wii U has run its course in Europe. According to new listings on Amazon UK and Amazon France, the standard edition of the game is now available to buy. This edition was quietly released on January 7th and both sites have now run out of the Deadly Six Edition themselves. However, you can still purchase it via other sellers on their sites (UK, France), but it’ll cost you more of your hard-earned cash. GAME UK has also now replaced the Deadly Six Edition with the standard edition of the game. The Deadly Six Edition still seems to be available as normal in the US, for the time being at least. 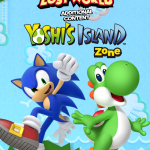 During todays Nintendo Direct, it was announced that Sonic Lost World would be receiving a free piece of DLC themed on Yoshi’s Island. 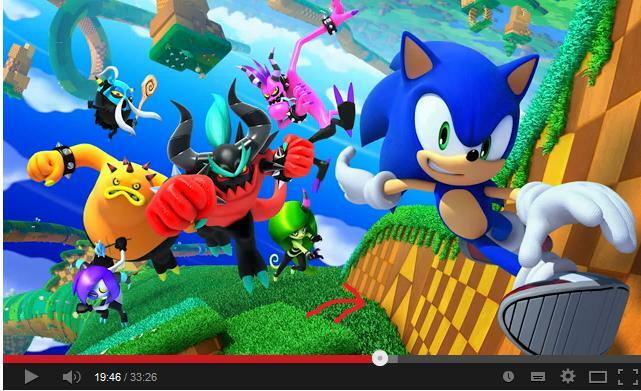 Skip to 17:51 to see the Sonic Lost World Segment. But it wasn’t just Yoshi’s Island that was confirmed, Mr Iwata said that there would be two Nintendo themed DLC packs for the game, the first is Yoshi, and a rather not too cryptic hint was dropped regarding the second. Fans will be able to ‘Link’ their Wii U systems to the Nintendo E-Shop early next year to download this DLC as well. Hmmm I wonder who it could be? I guess we’ll find out early next year. You know, one of the biggest criticisms of this game was that it looked and felt too much like a Mario game… Something tells me this announcement won’t do much to change that. 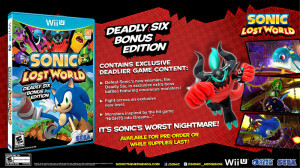 Todays Nintendo Direct had a suprise in store for fans of Sonic Lost World. 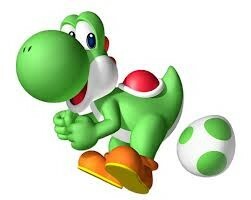 That being the announcement of new DLC in the form of Yoshi’s Island Zone. And it’s… pretty much what you expect. Badniks are gone, replaced with Piranha Plants & Shyguy. Rings are also gone, replaced with coins, and, well… everything Sonic except for Sonic has been replaced. Edit: The DLC is now Live on the Nintendo E-Shop, it is free to download. What do you think about the DLC? Let us know in the comments. Tails, we’re not in Green Hill zone anymore. While no release date has been shared (though all guesses point to ‘incoming’! 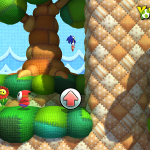 ), an upcoming patch for the Wii U version of Sonic Lost World is now on its way! Collecting 100 rings will now grant the player an extra life. The Indigo Asteroid, Crimson Eagle, Orange Rocket, and Black Bomb Color Powers can now be controlled using the analog stick and buttons. Fixed a rare graphical issue that would sometimes appear during the pinball section of the Frozen Factory casino area. When completing the NiGHTMARE DLC, users will be notified that they can re-play it after scoring 100,000 points. Items will now appear on the world map. 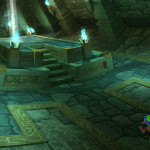 These changes are sure to come to the relief of many, especially the returning bonus life per 100 rings mainstay given the game’s steep learning curve, so owners of SLW U should be sure to have their consoles connected and at the ready once the patch rolls out! 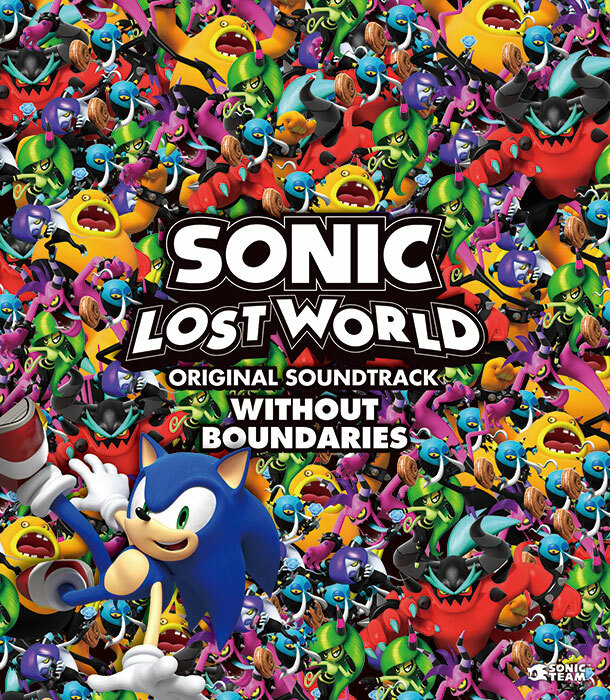 “Without Boundaries”, the original soundtrack for Sonic Lost World, was released in Japan as a physical 3 CD set last week. However, in a surprising move for those of us in other regions, SEGA has revealed via their blog that the soundtrack can also now be downloaded via iTunes and Amazon MP3. You can download all 93 tracks digitally, one disc at a time. Each disc, or ‘volume’, will set you back £7.99 (meaning the total cost of the OST comes to £23.97) or you can purchase individual tracks for 79p apiece. 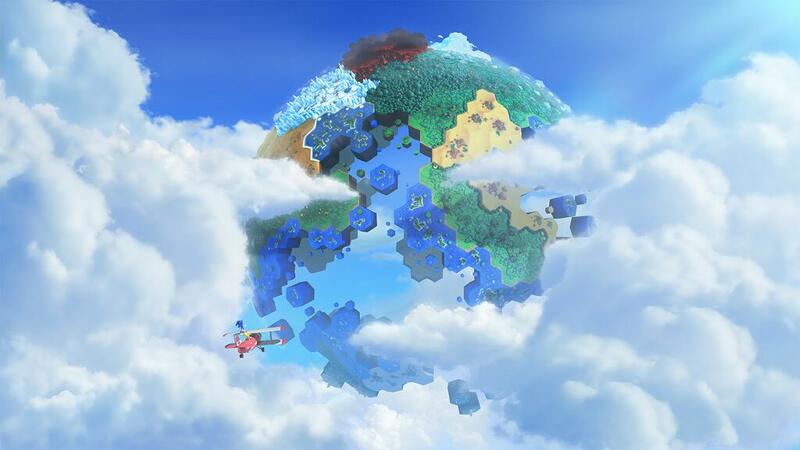 Will you be downloading the Sonic Lost World soundtrack? Let us know in the comments! Better late than never! In one of the most topsy-turvy release schedules ever, demos for both the Wii U and Nintendo 3DS versions of Sonic Lost World will be arriving in Europe when the eShop updates this week, on Thursday at around 2 or 3pm British time. This follows the demos hitting the US last week and Japan last month – which, when you consider that Europe got the full game before either of those regions, is a rather baffling series of events. 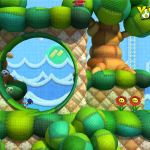 As with the other demos, the EU Sonic Lost World demos will likely contain Windy Hill Zone 1 on Wii U, in addition to Windy Hill Tutorial and Windy Hill Zone 1 on 3DS. If you’ve not played either of the versions yet and want to try them out before you buy – especially with Christmas on the horizon! – now’s finally the chance to do so. Will you be downloading the demos when they arrive in Europe later this week? Let us know in the comments! Both demos can now be downloaded from their respective eShop service and can be played a maximum of 10 times – more limited than a typical Nintendo demo, but considering the game is already out waiting for you to buy it, it should be enough to help make your mind up one way or the other. 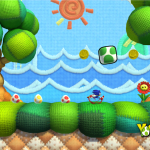 The Wii U demo contains Windy Hill Zone 1 while the 3DS demo contains the Windy Hill Tutorial as well as Windy Hill Zone 1. There’s no word on the demos appearing on the European eShop services at the time of writing. Don’t forget you can also read our reviews of the Wii U version and 3DS version to help you decide if the game is for you. 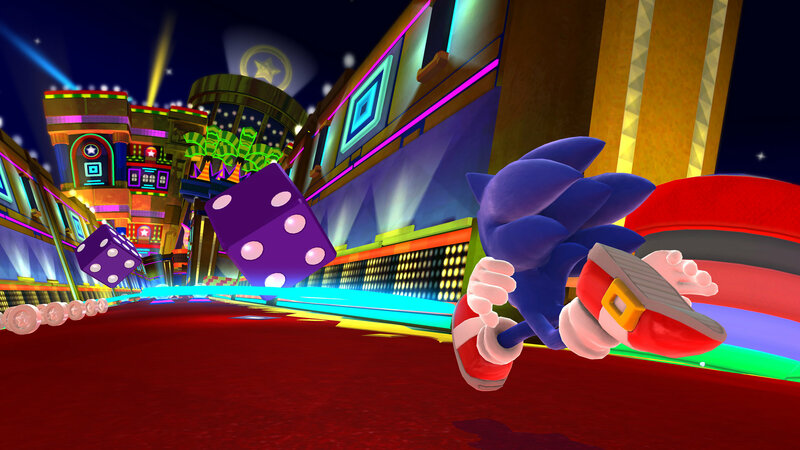 Will you be downloading either of the demos for Sonic Lost World? Let us know in the comments! UPDATE: SEGA’s RubyEclipse has answered the topic at the SEGA Forums to inform that SEGA is now investigating the problem. If you’re having the issue and haven’t already, please do send in a ticket to Customer Support so we have you in our records. 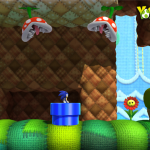 Sonic Lost World has finally been released in North America today, but it appears the wait hasn’t been completely worth it for those purchasing the Wii U version in Canada specifically. SSMB member XD375 grabbed his copy of the Wii U Deadly Six Bonus Edition today at his local EB Games store, but when he got home and tried to enter his DLC code on the eShop, it wouldn’t work. XD375 reports that his Canadian friends at other forums are also having this problem, as is a Canadian user over at the SEGA Forums. American residents aren’t reporting any issues, so it appears the problem might be that SEGA has accidentally put codes intended for the American eShop in with the Canadian copies of the game, which don’t work on the Canadian eShop. Worse still, XD375 says his EB Games Store hasn’t received the advertised pre-order bonus DLC either. XD375 has created a topic in the customer support section of the SEGA Forums, but so far hasn’t received a reply. If we hear anything from SEGA on the matter, we’ll update. Thanks to XD375 at the SSMB for the heads up! 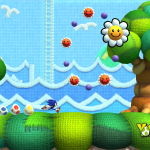 This weeks UK game sales charts are in, courtesy of GFK Chart track, and Sonic Lost World is the top selling Wii U game. 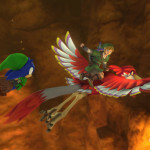 Lost World debuted at #1 in the Wii U only chart, ahead of The Legend of Zelda: The Wind Waker HD and Skylanders Swap Force, which was also released Friday. 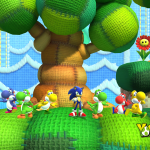 In the 3DS chart, Sonic Lost World entered at #4, being beaten by Nintendo’s own Pokémon X/Y and Animal Crossing: New Leaf. However, Sonic’s latest narrowly missed the top 10 all-formats chart, placing 11th behind Disney Infinity at #10. 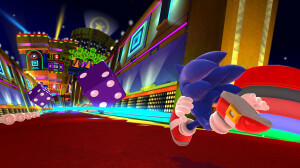 We’ll see how Sonic Lost World fares next week with a full week of sales behind it. 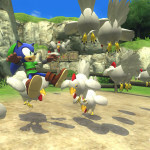 With Sonic Lost World now available in Europe, SEGA has put out one last trailer for each version to showcase Sonic’s latest adventure on Wii U and Nintendo 3DS. 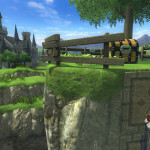 Lots of gameplay and cutscene clips are shown from various stages of the game, and there’s even some dialogue in there. As you’d expect, Sonic and Eggman sure don’t sound happy about having to work together. 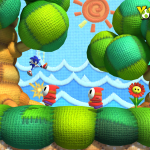 Have you bought Sonic Lost World? What do you think of it so far? Speak out in the comments.